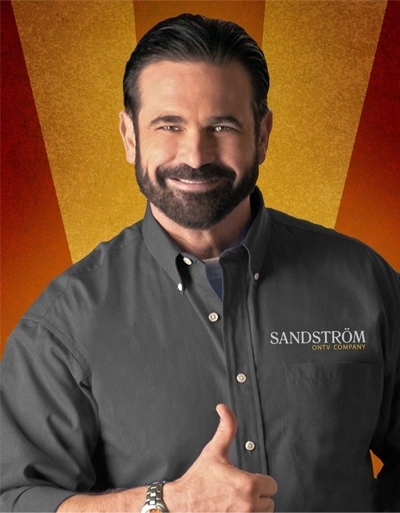 "Microsoft has hired the omnipresent pitchmen Billy Mays to help convince a skeptical public to buy its new handheld media device, the Zune HD. The company is hoping Mays will be able to do for Zune HD what he has done for other products, such as OxiClean. The move represents what some analysts deem to be a natural progression for Microsoft’s advertising campaigns. “They are following one of the basic tenants of advertising and promotion theory,” says Professor Jim Work of the Wharton School of Business. “Microsoft first started with a series of Jerry Seinfeld commercials that were about as easy for the general public to understand as a Jackson Pollock painting or a voicemail message from Bob Dylan. When that failed, Microsoft decided to put itself in the customer’s shoes with people trying to find low-cost computers that, coincidentally, were unavailable in Apple form. Finally, the company has decided to throw caution to the wind with the incessant yelling of Billy Mays.”"
Sure this is a joke, but it brings to mind some bigger issues; how will Microsoft market the Zune HD? The funky, off-beat advertizing they tried for v1, the "Welcome to the Social" tagline, and even the latest "$30,000 to fill an iPod" have all fallen flat. Maybe it's time they tried a different (different) tack. Could a self-aware TV pitchman help?